Every air-launched aircraft I'm aware of, with the exception of the D-21 in combination with the M-21 carrier, has been launched by dropping it. Is there a reason why drop launches are preferred to "fly-off" launches from the top of the carrier? Its much safer, you don't kill the carrier aircraft if you drop away and have a major aircraft malfunction. Gravity gives you the separation you need. If you treat the two aircraft like a formation flight, which it essentially is, its dangerous for the critical aircraft to go belly up, ie blind, to the carrier. In an emergency the first step in formation flying is to ensure separation which the critical aircraft can't do because it can't see if it's clear to descend and it may not have the ability to laterally sidestep. Thus, a blind push on the nose could kill both aircrews. Drop launches get you out of the wake of the carrier faster and it is easier to get vertical separation by dropping than by climbing. With fly-off you start in the turbulent area and then need to get enough speed to fly, and stay in front or above of the launching craft until flight has stabilized. If the plane is up the carrier and something go wrong, both planes crash. 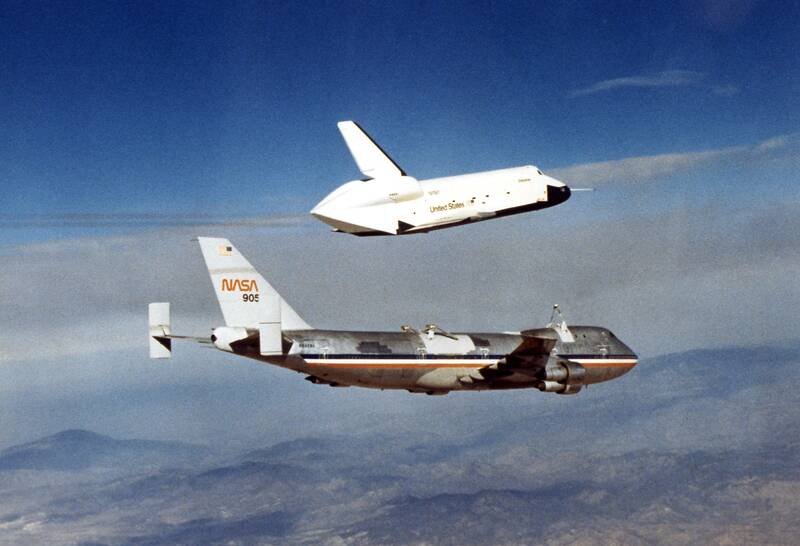 The first test of the USA Space Shuttle were done with a carrier having the shuttle on its top; it was for wind tests. A carrier having a plane to drop of a plane to take off from a carrier was tries to reach space at lower cost, planned in the 1970s and the tests done in the 1980s. A model with reservoir was chosen instead. Not the answer you're looking for? Browse other questions tagged safety aircraft-design or ask your own question. Will an aircraft always crash on take-off if de-icing is not performed correctly? Have other designs for individual gasper ventilation been tried? How much force can the landing gear of a Piper Arrow withstand? Why can the aircraft not turn on pitot heaters itself? Why did this 737 not take off on first attempt? Why does Germany is not so advance in aircraft development? Why are special aircraft used for the carriers in the United States Navy?